Today, were using phones that Apple lent us for the purpose of this review. It's same phones that you're going to find in stores. The screen is the biggest differentiator between the XR, and its cousins, the XS and XS Max. 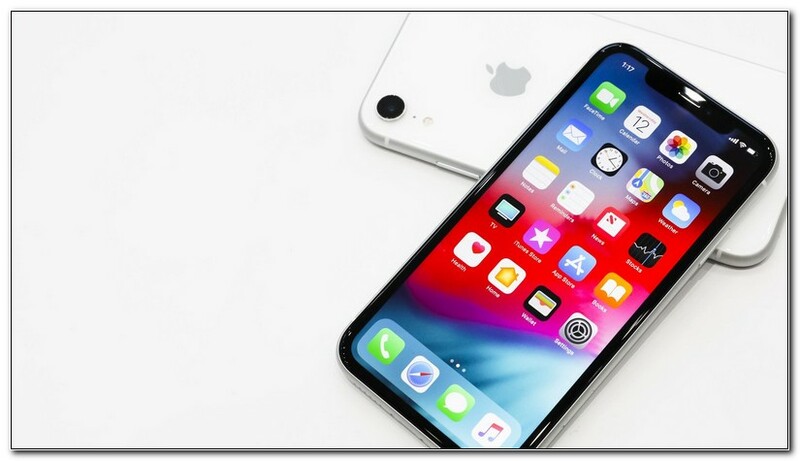 The XR uses an LCD screen much like the iPhone 8, instead of the OLED screens we've been seeing in almost all flagship phones, including the iPhone XS and XS Max. But if the display is the biggest thing I'll have to sacrifice to save myself. Two hundred fifty dollars. It's still a beautiful, bright screen. It's a little chunkier because the LCD screens need a backlight, and the OLEDs light themselves. But it's not much of a difference. The XS has about 40 percent more pixels per inch than the XR, so there is a higher resolution. And it's got a much higher contrast ratio, so blacks will look a lot more black on the XS. Honestly, to me, unless I'm holding the phone an inch away from my face, I really don't notice a huge difference in quality between the OLED and the LCD. There's a little bit of an 'ooh' factor you get when you look at an OLED screen, and you don't get that same effect when you look at this LCD screen, but it's still a great display. You also can't use 3D Touch with the XR's LCD screen. You know, when you hard-press on an app, and it gives you more options. Apple decided to use the same haptic touch they use in the new MacPro trackpads, since adding the extra stuff needed to make the 3D Touch work would make the phone thicker. It works all right, although it's a bit slower than 3D Touch. But Apple says it's going to be rolling out updates to add functionality and to make it a better experience. The XR features one single lens instead of the two-lens setup that's become the standard. But this one camera is the same as the wide-angle lens on the XS and XS Max, so it has that same great image quality. The image quality when you zoom in decreases a little bit, but it's still pretty good. I was surprised at how clear the digital zoom was. Maybe we don't even need telephoto lenses anymore. Just kidding. Life's always better with a telephoto lens. Closeups look great, the blurring effect on the background looks like a professional camera. With two lenses, your phone gets a better sense of depth, and gives you a properly blurred background. But with one camera, Apple had to be tricky. They used the information from the single lens to detect both the foreground and background. And frankly, I don't miss the other lens. The color is great, the low lights are natural. Some people like cameras that lift subjects out of the darkness by means of wider apertures or digital retouching. For this you're pretty much going to get what you see, for better or for worse. The XR also has great image stabilization. When I first tried it out, side-by-side with the XS Max, I thought there was a slight difference in the quality. So he reached out to Apple about this, and they took a look, and assured me that it's the same camera and software stabilization at work in both phones. They attributed any differences in the stabilization to my handling of the devices, which makes sense. I was simply holding them in different hands while I walked around, so it wasn't the most scientific study. So we'll chalk it up to that. Regardless, I had a great time with this camera, and snapped some beautiful photos. As I said before, almost all of the innards of this phone are the same as the more expensive XS and XS Max, including the A12 Bionic chip. Now, Apple has been boasting about their A12 Bionic chip, but I actually think it's justified. This is a And you can feel it when you use this phone. FaceID is faster, graphics have no lag, and they just look better. You can take pictures quickly. And despite being more powerful, it actually takes less energy to run the A12 chip than it did to run last year's A11 chip. I've had a really great battery life but the XR. Like, full days snapping photos without issue. I'm super impressed by that. And the whole is definitely greater than the sum of its parts here. It's a really beautiful thing to hold. Its meaty, but it still fits nicely in your hand, and I love the colors. This is the PRODUCT( RED) version of the XR, and a portion of the proceeds for these phones go to fight HIV/AIDS. They use a seven-layer color process for the back glass. I'm not entirely sure what that means, but whatever it is it looks nice. Apple says they put the most durable glass ever on a smartphone on the front of the XR. I'm not going to test that, but it's supposed to be pretty strong. I'm really impressed that Apple was able to create a less expensive phone without having to sacrifice power or quality. If you're a stickler for true black screens with indistinguishable pixels, then you should get an OLED screen. If you like to take photos from really far away, or if you like to take portrait mode pictures of more than just people, then you should probably get a phone with the second lens. And if you're looking to film something while you're jogging down the road... well, I mean you should probably get a steadicam for that one. But if you're looking for a great phone with almost all of the perks you get from the XS and XS Max while saving yourself a big chunk of change, this is a great pick. You even get a No but really this is a great phone. There's a little bit of an ooh, ooh, ooh, ooh, ooh factor you get when you look at an OLED screen. 0 Response to "Apple's iPhone XR Smartphone Review"